At the cutting edge of surgery and cardiac care. 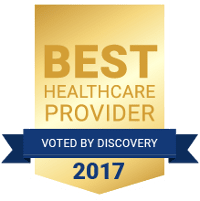 Rated as the best hospital in South Africa 2015 and ranked as one of the top five hospitals in the country in 2016 and 2017 by Discovery members, and the recipient of a Silver Arrow PMR award in 2018: Busamed Gateway Private Hospital is in a class of its own. As the first purpose-built, exclusively surgical and cardiac hospital in KwaZulu-Natal, it is ideally positioned to meet the growing demand for surgical services in the province. Boasting 160 beds, two ICU units, a high care unit, and the highest-standard patient accommodation in dedicated speciality unit, the Hospital offers an atmosphere and environment that promotes wellness and rapid recovery. Situated in the heart of one the fasted growing residential area in South Africa, the Hospital was designed to maximise patient wellbeing and improved surgical outcomes. Stunning views from every bed (including the ICU units), huge glass windows, and open reception and visitor areas are some of the features that are guaranteed to improve the patient and family hospital experience. Better diagnosis, advanced surgical procedures, and improved patient outcomes. Busamed Gateway's advanced technology plays a significant role in improving healthcare. The Hospital is equipped with the most modern equipment, aimed at the most favourable outcomes and best possible experience for patients and their families. Patients can expect a dedicated service with focused attention from the team of experienced specialists and elite nursing and administrative staff. Their priority is to go beyond expectations to ensure that patients and their families are comfortable and relaxed, so they can focus on restoring their good health. The Busamed Gateway Private Hospital building has been designed with the patients’ needs and comfort in mind. The staff and the resident specialists are passionate about patient-centred care, which is why the well-being of patients is a priority in all their decision-making. Busamed Gateway Private Hospital provides a full spectrum of cardiac, surgical, and related services to meet the surgical needs of the KwaZulu-Natal communities. Family support and comfort is vital for the return to wellness for all patients. Hospital facilities and modern interiors welcome visitors and cater for patient’s needs. The most recent Busamed news about doctors, staff, new programmes, events, ground breaking procedures, new technology, and important announcements.